A harvest of spectacular quality is underway in the largest and oldest Fraser Valley vineyard – the 40 plus acres behind Chaberton Estate Winery south of Langley. The vineyard was planted in 1982 by Claude and Inge Violet. They planted only early-ripening white varietals like Siegerrebe, Madeleine Angevine and Madeleine Sylvaner, all suited to this cool terroir. The winery’s red varietals have always come from sun-bathed vineyards in the south Okanagan. The Violets emigrated from France in 1979. When they opened the winery in 1991, they named it Domaine de Chaberton for the farm that Claude (who had been a wine grower and wine merchant) had owned in France. The winery was purchased in 2004 by Vancouver lawyer Eugene Kwan and Hong Kong businessman Anthony Cheng. With the wines released within the past year, they quietly dropped “Domaine de” from the labels. Retaining Chaberton indicates that the owners value continuity in a brand that sells about 40,000 cases a year. They also have maintained the bistro started by the Violets. This is one of the most popular and best country restaurants in the Fraser Valley. However, Eugene and Anthony have also made some key changes, including the hiring in 2011 of Barbara Hall, a rising star among Okanagan winemakers. Dr. Elias Phiniotis, the consulting winemaker here since 1990, continues to offer some consulting services but Barbara was promoted to chief winemaker in 2013. To learn winemaking, she moved to the Okanagan in 2002. She enrolled in studies at Okanagan University College, subsequently transferring to the University of British Columba for a degree in biochemistry. She supported her studies with a succession of jobs in the wine industry. That including vineyard work at Quails’ Gate Estate Winery, sorting table work during the crush at Mission Hill and retail work at Discover Wines, a VQA store in Kelowna. 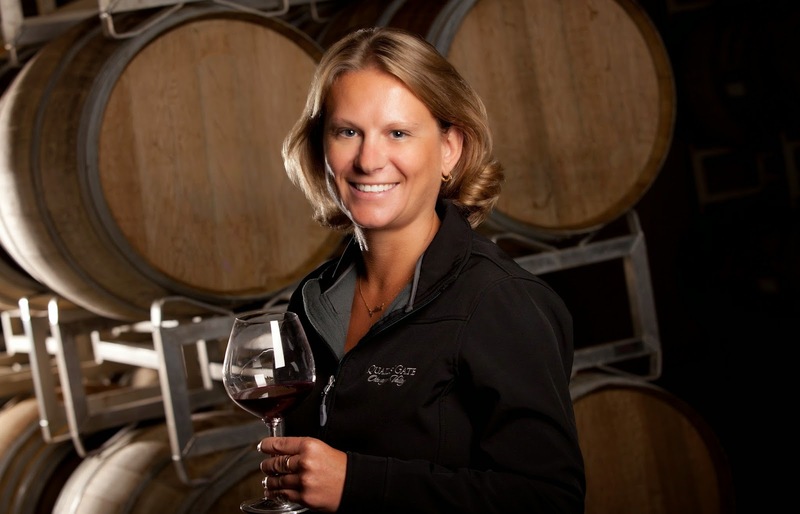 In 2006, she went back to Quails’ Gate where Grant Stanley, the winemaker then, put her to work in the laboratory. He also assigned her to participate in a research project on wild yeast strains in Pinot Noir fermentation. The work, which helped her graduate, has been continued by several Okanagan winemakers and by academics at UBC Okanagan. After graduating in 2009, she worked the crush that year at Red Rooster Winery, took time off to go to Chile and came back to the Okanagan. While working at Volcanic Hills, she learned that a winemaking job was open at Chaberton. Her interview with Anthony Cheng led to a six-month contract that evolved to a permanent post. Shortly after, Anthony involved her in a blending project for a premium red modelled on Cheval Blanc, his favourite Bordeaux red. Those limited wines, all from the 2008, have since been released under the AC label. “2008 was a fantastic year,” Barbara says. “We will work toward making AC wines from newer vintages. For wines like that, you have to organize your barrel program and source the fruit for it. That is just part of the journey. It is good that something like that has started to emerge after eight years” [under the new owners]. Chaberton is not the most modern of wineries but Barbara, after 10 years of “crawling around vineyards,” has never been happier. Here are notes on her wines. Chaberton Siegerrebe Reserve 2013 ($17.95). This may be the first time I have seen this varietal released as a “reserve” – which speaks volumes for the care that winemaker Barbara Hall gives to the estate-grown grapes. This wine shows the typical floral and spicy aroma of the variety. The wine delivers intense flavours of Muscat raisins, grapefruit and apricot. The slightly off-dry finish gives the wine a rich texture. 90. Chaberton Dry Bacchus Reserve 2013 ($17.25). Made from Fraser Valley grapes, this is 95% Bacchus with 5% Sémillon to add complexity. The wine has appealing aromas of rose petals, green apples and spice. It is crisply dry on the palate, with intense flavours of grapefruit and apple. 91. Chaberton Gewürztraminer Reserve 2012 ($17.95). This is 88% Gewürztraminer, 12% Pinot Blanc. The wine has rich aromas of spice and orange peel, leading to a rich palate, with flavours of tangerine, peach and apricot. The slightly off-dry finish adds a honeyed note. 90. Chaberton Valley Chardonnay 2012 ($14.95). This is 90% Chardonnay, 10% Viognier. It begins with aromas of pear and citrus. On the palate, there are flavours of apple and tangerine. 88. Chaberton Valley White 2013 ($14.95). This is 50% Madeleine Sylvaner and 50% Sauvignon Blanc. The wine begins with citrus aromas, leading to flavours of lime, honeydew melon and pineapple. The finish is crisply refreshing. This light-bodied white was great with summer salads. 89. Chaberton Valley Pink 2013 ($14.95). This off-dry wine is 95% Zweigelt and 5% Viognier. Dark in hue, it has aromas that recall bubble gum and strawberries. On the palate, there are flavours of raspberry, strawberry and cherry candy. 87. Chaberton Valley Cab 2010 ($15.95). This is 84% Cabernet Franc, 16% Cabernet Sauvignon. The spicy blackberry aromas reflect the Cabernet Franc in this blend. The aromas carry through on the palate, with black cherry, brambly and minty flavours, a hint of tobacco and pepper on the finish. This is astonishingly good value. 90. Chaberton Valley Gamay 2012 ($17.95). There is five percent Merlot added to this Gamay. The wine is full-bodied for a Gamay, with jammy cherry and strawberry flavours and a spicy finish. Give this wine a few minutes on opening – it has a screw cap closure – for the whiff of sulphur to dissipate. 87. Chaberton Reserve Meritage 2011 ($25.95). This is 45% Cabernet Sauvignon, 30% Cabernet Franc and 25% Merlot. The wine saw 12 months in French and American oak barrels. It begins with aromas of black currants, cherries, vanilla and cedar. On the palate, the wine has flavours of spicy red berries. The tannins are ripe but the firm texture suggests cellaring this another year or two. 90. Chaberton Reserve Merlot 2011 ($25.95). The wine, which was aged 12 months in French and American oak and which has had the benefit of additional bottle age, has an elegantly silken texture. It begins with aromas of cherries and red liquorice, leading to flavours of cherry and lingonberry with a hint of spice on the finish. 89. Chaberton Reserve Syrah 2011 ($31). Dark in colour, the wine begins with meaty aromas incorporating red berries and pepper. On the palate, there are flavours of black cherry and blackberry crisply wrapped up with notes of black pepper and vanilla on the finish. The texture is medium to full-bodied, with a a long finish. 90. Chaberton AC 50 2008 ($47.50 for 163 cases but sold out). The AC series of wines – named for winery owner Andrew Cheng, who assists in blending – all are based on Merlot. This is a 50/50 blend of Merlot and Cabernet Franc. The wine begins with aromas of spice, black cherry and blackberry. On the palate, there are flavours of black currant, black cherry, vanilla, espresso coffee and dark chocolate. Prolonged barrel aging has contributed to a firm and ageable tannin structure. 91. Chaberton AC 70 2008 ($47.50 for 139 cases). This is 70% Merlot, 20% Cabernet Franc and 10% Cabernet Sauvignon. The wine begins with aromas of vanilla, black cherry and cassis, leading to flavours of black currant and vanilla with a touch of sage on the finish. The Cabernet Sauvignon has lent a firm, ageworthy texture to the wine. 90. Chaberton AC 100 2008 ($47.50 for 282 cases). This elegant, full-bodied wine is an excellent expression of Okanagan Merlot. It begins with aromas of black currant and vanilla, leading to flavours of black currant, black cherry and dark chocolate. The ripe tannins give this wine a generous weight and a long finish. 91. There is a house style emerging a Gold Hill, a winery that opened in 2011 not far north of Osoyoos. The style is unapologetically big and ripe, with flavours that fill the mouth and have such a long finish that you need a stop watch to time it. It is a style that can be achieved in the south Okanagan, especially in warm vintages like 2012, 2013 and 2014. Gurbachan and Sant Gill, the winery owners, have become adept at growing grapes since 1991, a few years after arriving in the Okanagan from India. They now own 65 acres of vineyard, most of it in the south Okanagan. Gold Hill was launched in the 2009 vintage. That was another hot season and there was no shortage of ripe grapes for Phil Soo, the consulting winemaker. The Cabernet Franc from that vintage won a Lieutenant Governor’s Award of Excellence, helping to establish Gold Hill’s profile. Of course, the gold-hued winery beside the highway also helps the profile with those wine tourists who turn in. The current releases include the winery’s first Meritage. Aged 16 months in French oak, this wine aims to be Gold Hill’s entry into the ranks of producers of icon reds. Those are the wines that consumers buy not just for Saturday’s barbecue but to lay down, and to accumulate several vintages with an eye to vertical tastings in the future. Wines like that signal a growing confidence consumers have in the rising quality of British Columbia wines. The wines don’t have the longevity (yet) of collectible and expensive Bordeaux reds. However, the reasonably priced British Columbia red icons will age, on average, 10 years. The Gold Hill Meritage is a little softer and I would sample the bottles by their fifth year to see how they are developing. It is always better to drink a wine too young and too old. 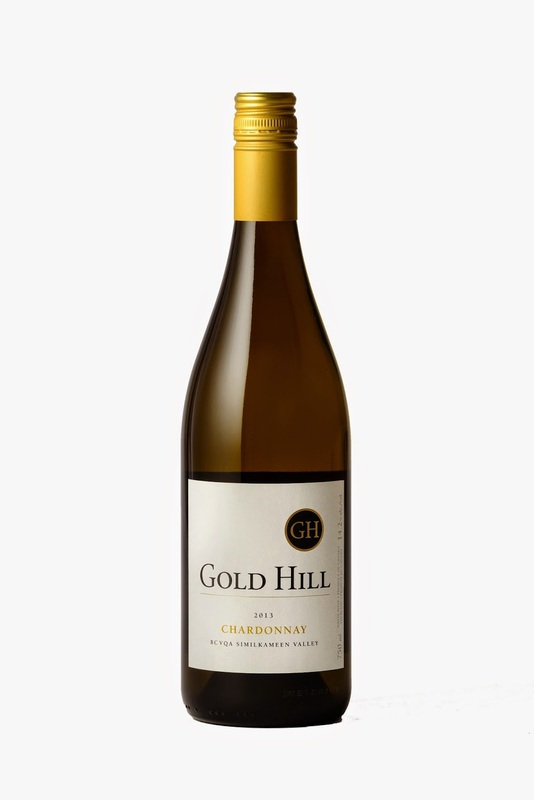 Gold Hill Chardonnay 2013 ($20.90). This is a refreshing, unoaked Chardonnay, with appealing aromas of green apples and citrus. On the palate, there are flavours of apples and white peach. This delicious wine has a crisp finish. 90. 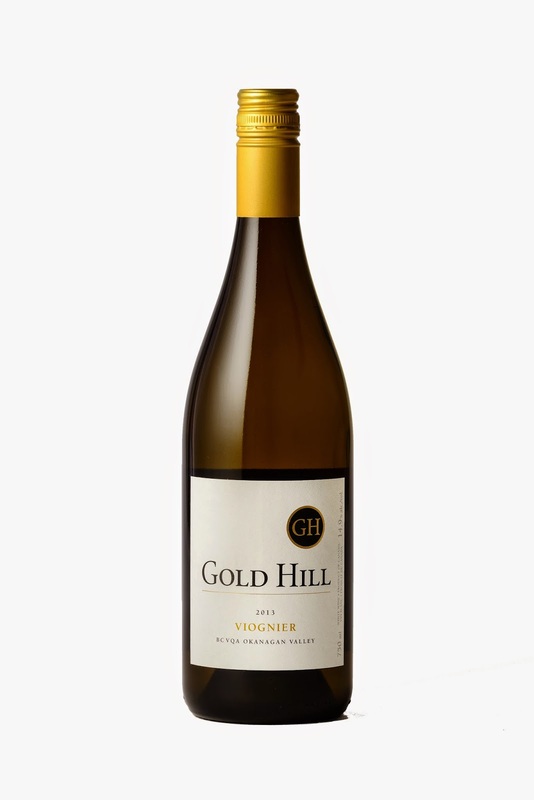 Gold Hill Viognier 2013 ($21.90). This is a big ripe Viognier with a rich texture and honeyed aromas and flavours of apricot and guava. The alcohol is a warming 14.9% but it is balanced by the abundant fruit on the palate. 90. 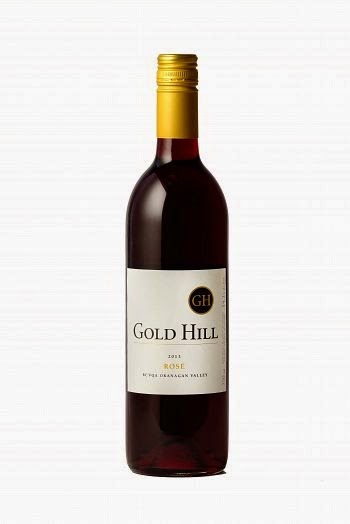 Gold Hill Rosé 2013 ($18.90). This dark-hued rosé is mostly Cabernet Franc, with a dash of Pinot Gris. The jewel-box colour comes from fermenting on the skins for two days, a technique that also turbocharged the cherry aromas and the cherry and black currant flavours. A touch of pepper on the finish wraps up this full-bodied rosé. I wonder if the wine is not too full-bodied for a rosé. Why ferment on the skins for two days? Did the winemaker forget to rack off earlier? 87. 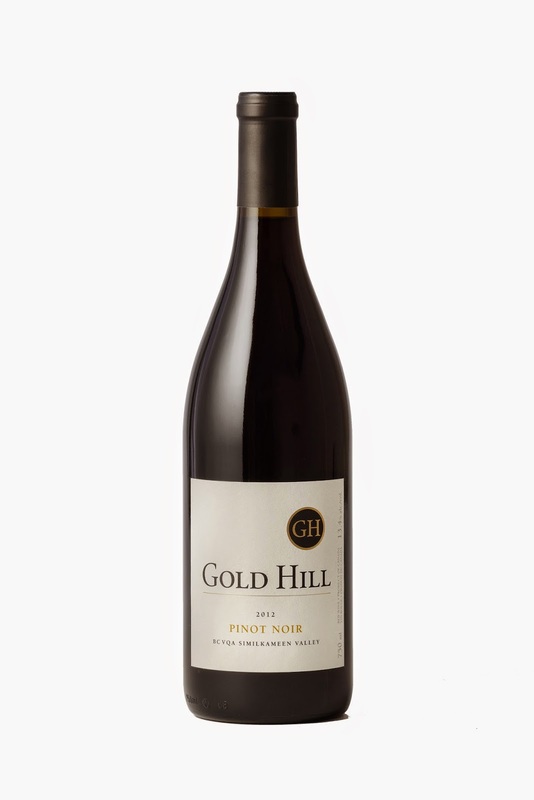 Gold Hill Pinot Noir 2012 ($24.90). The wine begins with aromas of cherry, raspberry and a touch of oak. On the palate, the flavours begin with spicy cherry; there is even a hint of white pepper. The texture is silky. 89. 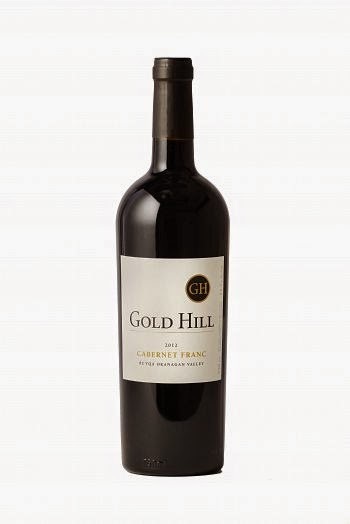 Gold Hill Cabernet Franc 2012 ($26.90). The wine begins with appealing aromas of toasty oak, blackberry and black currant. That leads to flavours of black cherry with a hint of ripe raspberry and pepper on the finish. The tannins are ripe and the finish is satisfying and persistent. 92. Gold Hill Merlot 2012 ($24.90). Here is another boldly ripe wine (15%) but with long, silky tannins. It begins with aromas of cherry and blackberry. There are flavours of black cherry and vanilla with a hint of tobacco and chocolate on the finish. 90. 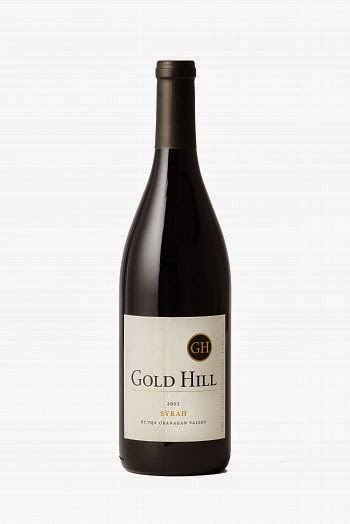 Gold Hill Syrah 2012 ($26.90). Dark in colour, this wine begins with classic deli meat aromas, along with spicy black cherry and plum. On the palate, there is a satisfying gob of cherry and plum enlivened by black pepper on the earthy finish. This is a deliciously ripe Okanagan Syrah, with a very long finish. 92. 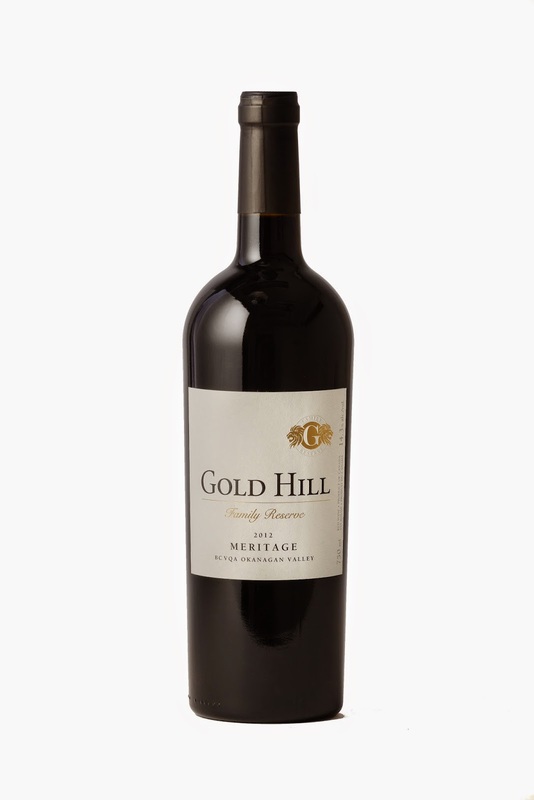 Gold Hill Meritage Family Reserve 2012 ($34.90). This is 33.3% Merlot, 22.2% Malbec, 22.2% Cabernet Franc and 22.2% Cabernet Sauvignon. The wine begins with perfumed aromas of cassis and blueberry (that’s the Malbec asserting itself). The wine needs to be decanted to let the berry flavours and the texture develop. 90. On October 4, during the Okanagan Fall Wine Festival, Hester Creek Winery is hosting its third annual garlic festival. Here is a chance to sample and buy locally grown garlic; and to taste wines paired with garlic-influenced dishes prepared by the winery’s in-house chef, Roger Gillespie. This event – admission by donation – is a fundraiser for the Farm to Table Lunch Program at the Oliver elementary school. Twice a week, the students are treated to lunches made with ingredients from local farms. They don’t, of course, get a taste of Hester Creek wines, which will be poured during the garlic festival, as well as in at nearby Terrafina Restaurant. And the current Hester Creek releases include an exceptional Merlot. Tinhorn Creek Vineyards, one of Hester Creek’s neighbours on the Golden Mile, also has a suite of events to show off its newest reds – a 2012 Cabernet Franc and a 2012 Merlot. Both also are outstanding. No doubt, the chef at Tinhorn Creek’s Miradoro Restaurant will use the occasional garlic clove in the recipes there as well. The events include an October 2 dinner, Hops, Grapes and Grub, which involves beer pairings as well as wine pairings. It is a recipe for a boisterous evening. There is a good chance there will be a bit of garlic around on October 10 when the winery hosts the 18th of the 20 events to celebrate its 20th anniversary. This is a dinner at Miradoro prepared by guest chef Angus An (of Vancouver’s Maenam Restaurant) and Jeff Van Geest, Miradoro’s chef. Even if you don’t go, here are notes on the three red wines. You can find them in private wine stores and the Liquor Distribution Branch. All are made in good volume. And all three are made with grapes from older vines, which accounts for the generous and satisfying texture of the wines. Tinhorn Creek Cabernet Franc 2012 ($24.99 for 4,782 cases). The vines were 19 years old in 2012. The wine explodes with aromas of raspberry and blackberry. Rich in texture, the wine has flavours of blackberry and black cherry. There is a subtle note of oak here; the wine spent a year in two and three-year-old French and American oak barrels. It is a delicious wine. 91. Tinhorn Creek Merlot 2012 ($19.99 for 7,790 cases). Once again, bold aromas of black cherry, black currant and plum roar from the glass. It is a big ripe (14.9% alcohol) wine with flavours of plum, prune, black cherry and vanilla. The texture is generous, almost fleshy. The wine, which aged a year on American and French oak, is quite satisfying to drink. 91. Hester Creek Block 2 Reserve Merlot 2012 ($28.95 for 800 cases). Hester Creek has some of the oldest vines on the Golden Mile; the plantings began here in 1968. The Merlot in Block 2, if not that old, certainly has been producing for a couple of decades. This wine is also bold and ripe, with enveloping aromas of plum, vanilla, coffee bean and sage. Rich and soft in texture, the wine has flavours of black currant, black cherry, plum and vanilla. This wine was aged between 12 and 16 months in French (75%) and American (25%) barrels. 92. Rick Thrussell, the owner of Sage Hills Estate Vineyard and Winery in Summerland, chose to release his 2013 Pinot Noir on September 17, 2014. Almost certainly, that release date is premature. It is an excellent wine that has just begun its development in the bottle. However, Rick felt under pressure to release it after his debut 2012 Pinot Noir was something of a sensation. How much of a sensation? The sommelier could not find even one bottle of red Burgundy in the cellar, never mind the finest. But she grabbed a bottle of Sage Hills 2012 and returned to the party – being careful to crack the screw cap closure before reaching the table. Without showing the label, she poured a taste and stood back for the verdict. The sommelier said no. The guest again swirled and tasted and admitted he was mistaken. “This is the other side of the river,” he ventured. Again, the sommelier told him he was wrong. And when his third guess also proved incorrect, he demanded to know what appellation in Burgundy the wine was from. In light of that story, you can understand why Rick released the 2013 as soon as it was drinking well. It is a wine of limited distribution, mostly allocated to fine dining restaurants. However, Sage Hills wine are available in VQA stores. Sage Hills is an organic producer. The 11-acre Summerland vineyard was planted in 2007 with – on the advice of a French consultant – just three varieties: Gewürztraminer, Pinot Gris and three clones of Pinot Noir. Rick did not let the vines produce a crop until 2012 when the vines were well established. Rick also leases two acres of organic vineyard at Covert Farm, just north of Oliver. This is the source of the winery’s Syrah. Sage Hills has had two vintages of rosé from those vines and has a delicious 2013 Syrah table wine still in barrel. He expects to release it this fall at $42. Sage Hills Vineyard Gewürztraminer 2013 ($27.90 for 342 cases). The wine begins with a whiff of lime and grapefruit which carry through to the palate. Of course, there is also spice in the aroma … this is a Gewurz, after all. The fruit favours are both intense and pure. The acidity is refreshing and the finish is dry. The juicy fruit flavours go on and on. 90. Sage Hills Vineyard Pinot Gris 2013 ($26.90 for 844 cases). Some tasters compare this wine to an Alsace Pinot Gris. It begins with aromas of citrus and toasty lees. The richly textured palate has flavours of pear, citrus and apple with an echo of bready lees. The finish is crisp and dry, with bright but balanced acidity. 91. Sage Hills Vineyard Syrah Rosé 2013 ($27.90 for 287 cases). The wine has a lovely rose petal hue, with aromas of plum and strawberry that are echoed in the flavour. A hint of white pepper ties up the dry finish of this elegant rosé. 90. Sage Hills Vineyard Pinot Noir 2013 ($44.90 for 191 cases). This wine explodes with aromas and flavours of spicy cherry and raspberry with a backbone of minerality. The texture is silky already. Even though the wine is drinking well know, it is several years away from peaking. Cellar this wine if you can keep your fingers away from it. 90-92. I have wandered the region again during the spring and summer and visited most of the wineries. One exception has been Wild Goose Vineyards because I could never work my schedule to east at the new bistro there. I will: I hear nothing but rave reviews for the food. It goes without saying that the wines are outstanding. No winery has won more Lieutenant Governor’s Awards of Excellence. Another exception was Blue Mountain Vineyards, only because I have blogged on their wines separately. Here are notes on some of the other wines I have tasted. 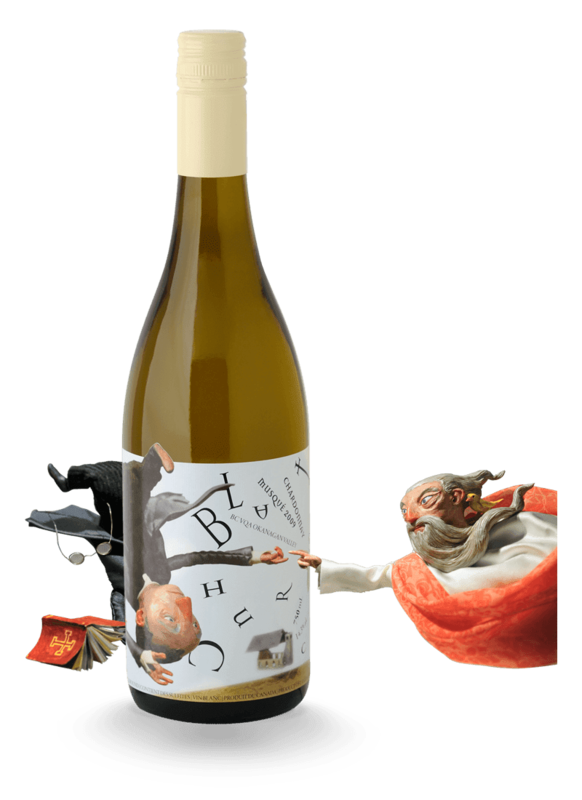 Blasted Church Unorthodox Chardonnay 2013 ($18.50 for 584 cases). This is an utterly delicious unoaked Chardonnay that includes some of the spicy Chardonnay Musqué clone in the blend. It begins with aromas of peach and citrus. The wine gives the impression of rich palate weight because it brimming with fruit (peaches, apples, lime). The finish is tangy and quite refreshing. 91. Blasted Church Pinot Gris 2013 ($20.50 for 2,500 cases). The wine was released in May and only 700 cases remain. It is no wonder it sells so quickly. The wine begins with appealing aromas of peach, apricot and pear. The flavours are packed with stone fruit and pear, with a touch of anise on the finish. The texture is generous and the finish is refreshing. 91. Blasted Church Mixed Blessings 2013 ($18.50 for 605 cases). This delicious wine also is close to being sold out. It is a blend of Viognier (60%), Chardonnay Musqué (18%), Ehrenfelser (10%), Sauvignon Blanc (8%) and Pinot Gris (4%). Both the Viognier and the Chardonnay spent 24 hours on the skins for additional flavour. Dare I repeat myself: brimming with fruit! This is a wine that begins with aromas apples, pears and citrus, leading to generous flavours of melon, apple and apricot. The finish is long. 91. Blasted Church Sauvignon Blanc 2013 ($19.50 for 343 cases). This lean wine begins with aromas of herbs and tea. On the palate, there are flavours of lime, herbs and minerals, wrapped up with a crisp, dry finish. 88. Blasted Church Big Bang Theory 2013 ($19.50 for 3,300 cases). This is an easy-drinking red with aromas and juicy flavours of spicy black cherry. The blend is Merlot (48%), Cabernet Sauvignon (17%), Syrah (13%), Pinot Noir (10%), Lemberger (8%), Malbec (3%), Cabernet Franc (1%). 87. Blasted Church Merlot 2012 ($26.50 for 714 cases). This wine invites the consumer with aromas of cassis, blackberry and vanilla. The long, ripe tannins give the wine a full texture, with juicy flavours of black currant, cherry and plum. This is a delicious, drink-now red. 90. Blasted Church Syrah 2012 ($26.50 for 1,584 cases). The blend is 95% Syrah, tweaked with 2% Petit Verdot, 2% Viognier and 1% Merlot. The ripe tannins have given this wine a supple and juicy texture. It has aromas of red fruit and vanilla (from 15 months in barrel) with a hint of pepper. The flavours include black cherry and plum wrapped up with the classic notes of black pepper. 90. Liquidity Bubbly NV ($23.90 for 71 cases). This is the winery’s first sparkling wine. Crisp and refreshing with flavours of apple and grapefruit, it is a 70% Chardonnay and 30% Pinot Noir cuvée. The finish is dry. 90. Liquidity Riesling 2013 ($23.90 for 97 cases). This is a finely balanced wine, with lemon and lime aromas and flavours. The hint of residual sweetness is offset with bright acidity, giving the wine a dry finish. 90. Liquidity Pinot Gris 2013 ($19.90 for 417 cases). The grapes are from own-rooted vines planted in 1996. That maturity shows in the good backbone of minerality in this dry wine. It has refreshing aromas and flavours of citrus and pears. 90. Liquidity Viognier 2013 ($23.90 for 465 cases). An exceptionally complex Viognier, this wine was begun by giving skin contact to some of the grapes. Winemaker Matt Holmes then used wild yeast (for the most part). Then he aged the wine four months in older oak barrels. The wine is generous in the mouth, with aromas and flavours of apricot and fresh apple. The bright acidity gives the wine a refreshing lift on the finish. 92. Liquidity Chardonnay 2012 ($23.90 for 330 cases.) The winery is fortunate to have 20-year-old Chardonnay in its vineyard. The wine was barrel-fermented with wild yeast and aged in barrels and on the lees for 10 months. The wine is full on the palate, with butterscotch, hazelnut and citrus aromas and with tangerine flavours. 89. Liquidity Rosé 2013 ($20.90 for 90 cases). This wine is made from the Dornfelder grape, a German varietal planted in the Okanagan for its ability to add colour to red wines. The winemaker fermented this in older French barrels with wild yeast. It is a vibrantly-hued rosé, with aromas and flavours of strawberry and cranberry. 90. Liquidity Pinot Noir 2012 ($24.90 for 405 cases). The winery also has mature Pinot Noir vines, and five clones. Once again, the winemaker fermented the majority of this wine with wild yeast, giving the wine about 20 days of skin contact. The colour is dark. There are aromas and flavours of spice and cherry, with savoury notes of mushroom and earth. 89. Meyer Family Vineyards Chardonnay Stevens Block 2013 ($24 for 113 cases). This elegant wine is from grapes on the winery’s Naramata Bench vineyard. It begins with aromas of toasty oak and citrus, leading to citrus and ripe apple flavours. While generous on the palate, the wine has a crisp finish. 91. Meyer Family Vineyards Rosé 2013 ($20 for 150 cases). Made with Merlot, this exuberant rosé delivers a blast of cherry and strawberry flavours with a crisp and dry finish. 90. Meyer Family Vineyards Okanagan Valley Pinot Noir 2012 ($25 for 1,600 cases). This is the entry-level Pinot Noir from a winery that has made Pinot Noir (and Chardonnay) its speciality. This is a concentrated wine with juicy flavours of raspberry and strawberry, and a silky but full texture. 89. 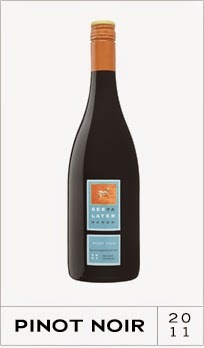 Meyer Family Vineyards Reimer Pinot Noir 2012 ($40 for 318 cases). Made with grapes from a Kelowna area vineyard, this is a Pinot Noir with both intensity and length. It has a good dark colour, with aromas and flavours of cherry and spice. 90. Meyer Family Vineyards McLean Creek Pinot Noir 2012 ($40 for 360 cases). This is a seductively pretty wine, with delicate notes of cherry and strawberry on the nose and palate. The texture is ever so silky and the wine is ever so elegant. 91. Noble Ridge Mingle 2013 ($17.99 for 487 cases). This is a blend of 40% Chardonnay, 38% Gewurztraminer, 18% Pinot Grigio and 4% Pinot Noir. A double gold winner at the All Canadian Wine Championships this spring, this is a zesty and delicious wine. It is packed with flavours of spicy citrus, peach and apple. It has good volume on the palate, along with a refreshing and dry finish. 90. Noble Ridge Pinot Grigio 2013 ($18.90 for 405 cases). This wine has two gold medals and a silver in competition, so far. The wine begins with appealing aromas of peaches and pears, with a touch of orange. The wine has a generous texture, with citrus and pear flavours. The finish is refreshing, with just enough acidity to give the wine a crisp tang. 90. Noble Ridge Reserve Chardonnay 2011 ($23.90 for 426 cases). Best of class in the Okanagan Spring Wine Festival, this Chardonnay begins with aromas of buttery tangerine, pear and vanilla. On the palate, the crisp, bright apple and pear flavours are framed subtly with oak. The wine was cold-fermented in stainless steel and then aged 14 months in French and American oak, a quarter of it new. 90. See Ya Later Ranch Jimmy My Pal 2012 ($16.90). Jimmy My Pal was one of about a dozen dogs owned by one of the former owners of the property. Some of the proceeds of this wine are donated now to the SPCA. The wine is a blend of 87% Chardonnay and 13% Pinot Gris. The wine is crisp and fresh, with aromas and flavours of citrus and apples. 88. See Ya Later Ranch Gewürztraminer 2013 ($Sold out). Without a doubt, this winery has one of finest Gewürztraminer blocks in the Okanagan. This wine begins with herbal and spicy aromas and goes on to spicy grapefruit flavours. The finish is dry. 90. See Ya Later Ranch Pinot Noir 2011 ($20). This is a pretty wine, with a fine colour and aromas of strawberry and cherry. The texture is silky, perhaps the result of 18 months in French oak. 89. Stag’s Hollow Tragically Vidal 2013 ($19 for 400 cases). This fruity white is always the crowd pleaser in this winery’s wine shop. The winery once grafted Chardonnay onto the Vidal roots and subsequently reversed the grafts to satisfy the demand for Vidal. People like it because the aromas and flavours of tropical fruit and lime explode from the glass. 89. Stag’s Hollow Renaissance Sauvignon Blanc 2013 ($25 for 81 cases). This wine was barrel-fermented in new French oak; just half went through malolactic fermentation. As a result, the wine has bright fruit flavours of grapefruit and gooseberry, with herbal and lime aromas. 91. 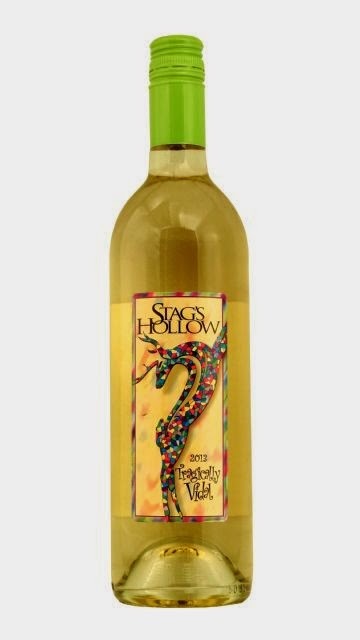 Stag’s Hollow Riesling 2013 ($20 for 380 cases). Some of the grapes were touched with botrytis. As a result, there is an appealing note of honey in the aroma, along with lime and peach. Those fruit flavours carry through to the palate and the wine ends with a vibrant, tangy finish. 89. Stag’s Hollow Syrah Grenache Rosé 2013 ($22 for 168 cases). The wine is 85% Syrah, 15% Grenache and 100% delicious. The hue is dark; the aromas are bold, with lots of strawberry and plum which carry through to the full palate. The finish is dry. 90. Stag’s Hollow Grenache 2012 ($30 for 170 cases). The varietal is rare in the Okanagan because the vines do not handle winters well. This is a delicious wine, with aromas and flavours of spiced plums, currants and even strawberry. 92. Stag’s Hollow Tempranillo 2012 ($30 for 305 cases). This varietal is one of the major reds in Spain. Stag’s Hollow winemaker Dwight Sick followed the Rioja tradition of using American oak when he aged the wine in barrel for 15 months. The wine has slightly toasty aroma mingled with dark fruit notes. It has flavours of blackberry and pomegranate. 90. Considering that Quails’ Gate Estate Winery is one of the Okanagan’s great success stories, it is surprising to find that the Stewart family could not get bank financing to open the winery in 1984. That was an historical nugget in The British Columbia Wine Companion, my 1996 book in which I gathered a great deal of industry history. The book is out of print but the manuscript lives on my computer. A search on the Stewarts resulted in a remarkable number of hits. This is a family that has been, and continues to be, a major force in the province’s viticulture and wine industry. Ben Stewart opened Quails’ Gate in 1989 as a “farmgate” winery. That license had just been created by the provincial government primarily for small vineyards. In the commercial chaos after the 1988 free trade agreement, many growers had trouble finding wineries prepared to contract their grapes because the future looked so bleak. A farmgate winery only needed four acres of vineyard. The Stewarts had far more acreage than that but it was a way for Ben to dip his toe in the water. Within two years, Quails’ Gate was transformed into an estate winery (minimum 20 acres of vineyard) and the winery has never looked back. To put Quails’ Gate in some perspective, here are several biographical profiles from the Wine Companion, starting with Richard Stewart, the father of Ben and Tony. Ben subsequently went into public life, first as a member of the B.C. legislature and now, as British Columbia’s trade representative in Asia, based in Beijing. Tony, his younger brother, succeeded him as winery president several years ago. The Stewarts and their spouses were all at the winery’s recent 25th anniversary celebration, toasting their accomplishments with for remarkable wines made just for the anniversary. I will review them at the end of this. This mini-biography was written after a 1995 interview with Richard Stewart. Stewart, Richard (1926-): A member of a family prominent in Okanagan agriculture almost since the beginning of the twentieth century, Richard Stewart first planted grapes in 1961 on property now part of the Quails' Gate vineyards. As well, he formed a partnership with Calona Wines to establish Pacific Vineyards, which leased land from the Westbank Indian Band for a vineyard and bought land south of Oliver for a second vineyard. "We believed there was room for growth in the wine industry," Stewart recalled later. Initially he planted what were then considered the established varieties -- such North American labrusca grapes as Diamond, Campbell's Early, Sheridan and Patricia. A nursery in Seattle, one of his suppliers, misidentified a shipment of what should have been 10,000 Diamond vines. Stewart discovered when the vines were growing that he had been shipped Chasselas, a vinifera vine that produces far superior fruit than Diamond. "We left them in," Stewart chuckled. In 1964 he and Joe Capozzi (in the latter's private aircraft) flew to grape-growing areas in Ontario and New York state to choose varieties for the initial Pacific Vineyards plantings the following year. At Gold Seal Vineyards in New York, one of the early vinifera growers, they found that the previous winter had devastated the vines. That convinced Stewart and Capozzi to play it safe, planting the more hardy hybrid varieties, including De Chaunac, Chelois, Verdelet and Maréchal Foch. After managing Pacific Vineyards for several years, Stewart sold his interest to Calona Wines and concentrated on developing the vineyard near Westbank that now supports Quails' Gate. Stewart was a founding member in 1961 of the Association of British Columbia Grape Growers (with Frank Schmidt and Martin Dulik), set up to lobby government for favourable policies. He was not an original member of the Grape Growers' Marketing Board but soon joined this price-negotiating body and subsequently became its chairman. Interested more in grape growing than winemaking, Stewart encouraged his son Ben to establish Quails' Gate. The book included vignettes on Ben and Tony as well. 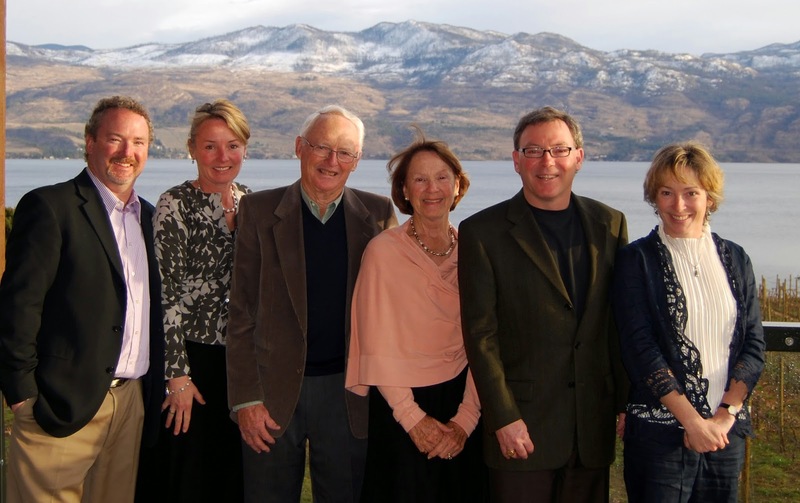 Stewart, Ben (1957-): One of the owners of Quails' Gate winery, Stewart was born in Kelowna, a member of a family which emigrated in 1906 from Ireland and has been prominent ever since in Okanagan agriculture and business. After working in the vineyards operated by his father, Richard, Ben Stewart graduated from high school to spend the next five years as a banker in Calgary and Kitimat. He rejoined the family business in 1979 when the Stewarts began planning an estate winery. Lack of banking support frustrated the Stewarts in 1984 but five years later, Ben Stewart was among the early applicants for a farmgate winery license. A risk taker, Stewart crushed enough grapes that fall for 5,000 gallons of wine before he even had his license. Quails' Gate subsequently converted to an estate winery. Stewart, Anthony David (1966-): The business manager at Quails' Gate, Tony Stewart chuckles ruefully at the warning that his fellow workers gave him in 1986 when he quit the first full-time job he had had after high school -- that of a technician in the ore processing plant at Cominco Ltd.'s Polaris lead-zinc mine north of the Arctic circle. "They said I would never earn as much money anywhere else," Stewart recalls. Indeed, a decade later the family winery was not paying him nearly as well as the mine; the compensation is in the evident satisfaction Stewart draws from what is already the third career in his young life. When he left the mine, Stewart took a financial management diploma at the British Columbia Institute of Technology and then joined the brokerage firm Burns Fry & Co. in Toronto where he became a commodities trader. In search of the Okanagan lifestyle, Stewart returned to Kelowna in 1992, intending to resume a broker's career there. However, Quails' Gate had just lost its accountant; Tony Stewart stepped in temporarily and stayed on to handle sales and distribution as well as administration. And the winery's prospects have brightened considerably, sales having risen from 8,000 cases in 1992 to 22,000 cases in 1995. As noted earlier, Tony has since become president. The winery has more than doubled its case sales. And the Stewarts have entered into a major winery joint venture in Napa and Sonoma in California. The signature wine at Quails’ Gate is Pinot Noir, the result of Richard Stewart taking a chance on planting the variety in 1975. It was the first successful Pinot Noir planting in the Okanagan, if not in all of Canada. In the winery’s early years, Ben relied on consultant Dr. Elias Phiniotis, a Hungarian-trained winemaker who came to Canada in 1976 and who has worked for a remarkable number of B.C. wineries since. Beginning in 1994, Quails’ Gate turned to a succession of winemakers from the southern hemisphere: Jeff Martin, followed by Ashley Hooper in 2000 and Grant Stanley in 2003. He was succeeded last year by Nikki Callaway, a young Canadian winemaker trained in France. And there was, briefly, an Australian Pinot Noir specialist named Peter Draper who came to Quails’ Gate in the summer of 1999. His sudden death in the middle of the 1999 vintage plunged Quails’ Gate into crisis. The winery still had tanks and barrels full of fermenting wine. In a remarkable story of winery collegiality, the CEO of Thomas Hardy & Sons in Australia heard of the crisis (because Hardy and Quails’ Gate shared an agent in British Columbia) and sent two of his winemakers to get Quails’ Gate through the 1999 vintage. In 2002, Quails’ Gate helped another winery in a similar crisis. Frank Supernak, the winemaker at Blasted Church, died in an accident at another winery that November. The Stewarts sent Ashley Hooper, their winemaker, to help Blasted Church complete its wines. One might argue that there is something of a New Zealand style in the Quails’ Gate wines, given the decade that Grant Stanley made wine here. However, the style is really set by the winery’s excellent vineyards, which deliver quality fruit to Nikki Callaway (right), the new winemaker. She has begun to show that, as excellent as the wines have been, she is finding more upside. She might have stayed in France but she could not get a work visa. So she returned to Canada in 2009 where Mission Hill offered her a four-month job. “It turned out to be four years,” she says. She moved to Quails’ Gate in mid-2013. The four wines in the just-released Anniversary Series include one wine made entirely by Nikki and three that she finished. These are limited production wines available only at the winery and to members of the Quails’ Gate Cellar Door Club. Rosemary’s Block Chardonnay 2012 ($30 for 80 cases). This elegant wine was fermented in new French oak. However, the oak stays subtly in the background, with bright flavours of citrus and apple on full display. The wine’s good acidity gives this Chardonnay a crisp, refreshing finish. 91. The Bench Pinot Gris 2013 ($25 for 790 cases). There is a laser-like focus to the aromas and flavours of this wine. There is citrus, apple and pear. The generous texture reflects the fact that 15% of this wine was aged in oak. However, there is no hint of oak on the palate. Nikki is not a fan of oaky wines. 91. Richard’s Block Pinot Noir 2012 ($40 for 80 cases). The wine begins with delicate aromas of cherry and strawberry, leading to flavours of raspberry and strawberry. The wine is still firm, with hints of the developing silky texture that will come with another year in bottle. 90. The Boswell Syrah 2012 ($40 for 320 cases). This memorable wine took everyone by storm during the various 25th anniversary functions, if only for the surprise factor. This is, if memory serves, the winery’s first Syrah and it comes from a special lakeside plot at the Quails’ Gate vineyard in West Kelowna. It is a delicious wine, medium-bodied like a northern Rhone red, with earthy flavours of black cherry and plum, bracketed by pepper in the aroma and on the finish. 91. In more than a decade of Okanagan winemaking, Daniel Bontorin has established himself as a specialist in rosé wine. He launched his own label, Seven Directions, in the 2012 vintage to produce just rosé. Daniel is also the consulting winemaker for Volcanic Hills Estate Winery. He makes his rosé – the volumes are modest – under the Volcanic Hills license. The Seven Directions website indicates where the wines can be found. As my notes on current Volcanic Hills wines indicates, Daniel also makes good wines for his employer, which probably explains why he is allowed to do a bit of freelancing. “My wife and I are both Italian,” Daniel says, who has dual citizenship. “Her Dad lives there and I have relatives there. So we decided to go for a trip, and we figured to make it worthwhile, I will do a vintage over there.” He returned just in time to join LVP for the 2005 vintage. Vaïla is a Pinot Noir rosé. Daniel made three vintages at Le Vieux Pin before moving on to consult. He made his mark at Volcanic Hills in his initial vintage there, producing the winery’s first Gamay Noir rosé in 2010 vintage. The wine promptly won a Lieutenant Governor’s Award of Excellence. Daniel continues to produce the Gamay rosé for his client. For his own rosé, Daniel likes Pinot Noir. In particular, he likes the organic Pinot Noir grown by Kalala Vineyard at Westbank. “The 2007 Vaïla was from the Kalala Vineyard, so I knew the quality of the fruit,” he says. In the 2013 vintage, he also made a rosé with the Zweigelt grown in the vineyard of Sarwan Gidda, one of the owners of Volcanic Hills. The Seven Directions Pinot Noir Rosé 2012 was partially fermented and aged in oak. In 2013, after allowing the crushed grapes to soak on the skins for 18 hours, Daniel fermented all of the juice in French oak puncheons, aging it there for three months. The objective was to produce a rosé with good texture and intensity. The Zweigelt rosé, on the other hand, was fermented only in stainless steel, likely because it is a variety with more flavour and colour than Pinot Noir. It is one of two Zweigelt rosés from B.C. wineries 2013 that have quite impressed me. The other was made by Corcelettes Estate Winery in the Similkameen. Here are my notes on Daniel’s rosé releases from 2013 as well as the current portfolio at Volcanic Hills. Seven Directions Pinot Noir Rosé 2013 ($27.90 for 100 cases). This wine is now sold out. The wine begins its appeal with a delicate rose petal hue and with pure fruit aromas (strawberry), delivering strawberry and cherry flavours. The texture is generous, giving this elegant dry wine a lingering finish. 91. Seven Directions Zweigelt Rosé 2013 ($19.90 for 245 cases). This wine has a vibrant ruby hue. It begins with aromas of raspberry and blackberry. The wine is full and juicy on the palate and is packed with fruit flavours. The finish is dry with a spicy note. 90. 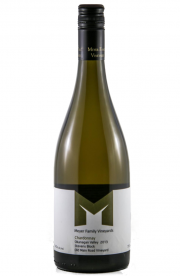 Volcanic Hills Magma White 2012 ($15.90). This is a blend of 41.5% Chardonnay, 27% Gewürztraminer, 11% each of Pinot Gris and Viognier, and 9.5% Riesling. This is a juicy white with layer upon layer of melon, lychee, peach and pear flavours. 88. Volcanic Hills Rosé 2012 ($16.90). This is 92% Gamay, 8% Pinot Noir. A lively and vibrant rosé, it has aromas and flavours of cherry and rhubarb. A touch of residual sugar gives it a juicy texture. 88. Volcanic Hills Single Vineyard Gewürztraminer 2013 ($20.90). The wine begins with a bouquet of rose water, spice, lychee and fresh peaches. The wine delivers flavours of lychee, grapefruit and ginger. The palate is rich, thanks to a touch of residual sugar very nicely balanced with refreshing acidity. 90. Volcanic Hills Reserve Chardonnay 2011 ($24.90). This was fermented and aged six months in French oak. The oak flavours are quite subtle, contributing a buttery/toasty note without submerging the pineapple and lemon aromas and flavours. The wine was not put through malolactic fermentation and remains fresh and lively on the palate. 90. Volcanic Hills Reserve Pinot Noir 2010 ($27.90). Aged 17 months in new French oak barrels, this wine begins with aromas of strawberry and mushroom. On the palate, there are toasty, earthy flavours, including strawberry and cherry. The wine has a silky texture. 90. Volcanic Hills Merlot 2012 ($24.90). This is a big, ripe Merlot (14.2% alcohol) with aromas and flavours of black current, black cherry and vanilla. With its generous texture, the wine is drinking well now but it can also be cellared another four or five years. 90. Volcanic Hills Syrah 2008 ($27.90). While Volcanic Hills has 65 acres of grapes in West Kelowna, the Syrah for this wine came from hotter terroirs in Oliver and Osoyoos. The wine was aged two years in barrel and one year in bottle before release. All that aging has given the wine a seamless texture. It has flavours of vanilla, cherry and blackberry with a pinch of white pepper on the finish. 91. Volcanic Hills Lava 2012 ($19.90 but sold out). This wine addresses the clientele that prefer an off-dry red wine. It is a blend of 33% Zweigelt, 23% Pinot Noir, 21% Merlot, 16% Gamay and 7% Maréchal Foch, with a dosage of Icewine to add a touch of sweetness. This is a juicy, medium-bodied red with flavours of cherry and strawberry. 88.